The Tanoshiboy Chronicles: Design & Illustration Blog: Are Designers Trying To Benefit From The Events in Japan? Are Designers Trying To Benefit From The Events in Japan? Seeing as I've embraced the online design community in the last year and met some awesome people, there is a possibility that this post may rustle some feathers. Please keep in mind that this post is meant to start a dialogue and not judge anyone for any of their choices. 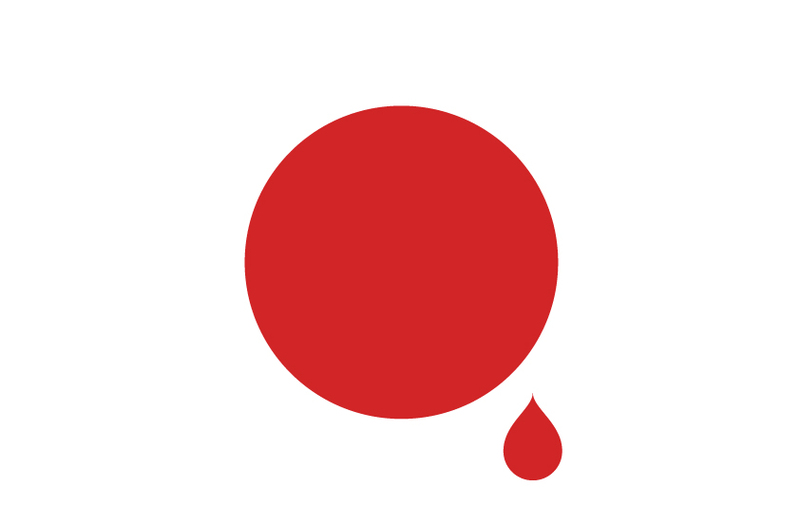 As you know, Japan was struck by an 8.9 earthquake that triggered a devastating tsunami that has rocked the country and its people. The morning after, I was glued to the coverage on Aljazeera English. The images and the sounds really frightened me; I'm guessing because I live in Southern California and we're prone to have earthquakes. Since I was a kid I've been hearing about "the Big One" and how Southern California would be utterly destroyed. Luckily, my Wife who is half Japanese no longer has any family in the country. That was a relief. I went online to take my mind off of it. 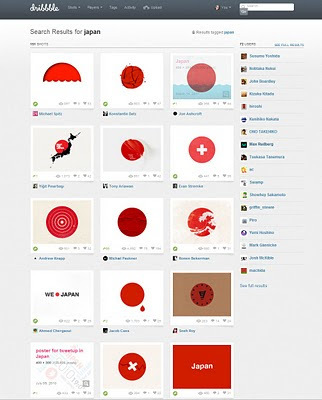 When I went on Dribbble, I saw tribute designs trickling in with slogans like "Pray for Japan" and "Japan Needs Your Help". My first reaction was that of pride in the community for lending their support, but it turned into confusion when I saw images of the rising sun cracked down the middle. Obviously, these designers we're not out to celebrate what had happened in Japan, but to lend support. Many designers started giving away their artwork files and telling the community to do with them as they wish. Avatars were now displaying some of the artwork you see above on facebook and twitter. It's then that I noticed people in the Dribbble community asking if this was the right thing to do. One tweet in particular asked "Why are designers trying to benefit from a disaster?". 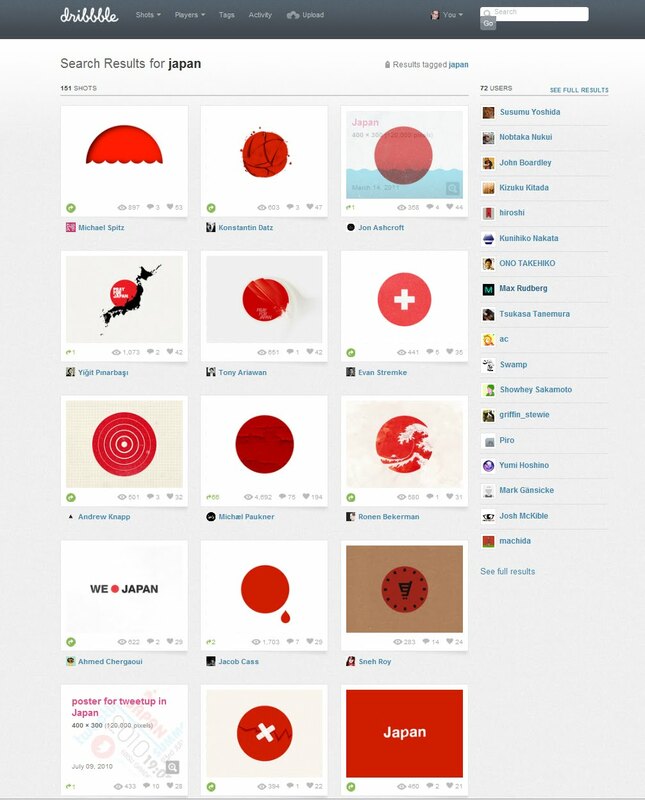 Jacob Cass created the following image, which seems to be the most popular given his high stature in the design community. One comment left on Jacob's website read. "Jacob, I’m sorry, I can’t find any beauty, or grace in creating this icon, even with the best of intentions one might have, in the middle of all that’s lost, and will be lost in the coming decades with the spreading nuclear contamination. I’m not yet ready to associate such a disaster with any form of artistic beauty. As you know it very well, in the end this will work on your commercial benefit as you get more publicity and you’ll be proud that you did this. That sort of sickens me. Would this contribute to the efforts of collecting aid? Maybe… But really? Do we really need to see this to extend a helping hand? I don’t think so. Maybe I’m not seeing your intentions purely, as my vision is blurred with the tragedy." Jacob very humbly responded back to assure that his intentions were absolutely pure and apologized for offending anyone. I knew writing this post that I might receive some criticism and statements that I too am trying to benefit from such a huge story to start up a debate and boost my readership. I'm here to say that I am simply stating the facts and I am in no way judging anyone. I simply want to hear what anyone reading this has to say on the matter. I also want to warn that if anyone posts anything hateful or rude towards anyone it will be deleted. Your thoughts and opinions are appreciated, but please be kind. Now, what do you think? Want to help? Text REDCROSS to 90999 to donate $10 to the relief efforts via your cell phone bill.